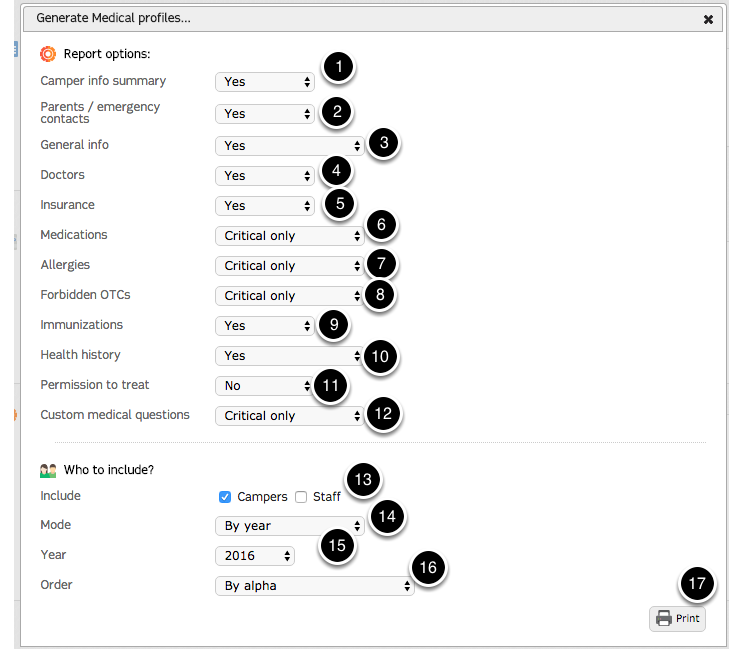 Medical Profiles allows you to generate and print medical profiles en masse, and gives you the option to select specific parts of the health history form to be included. 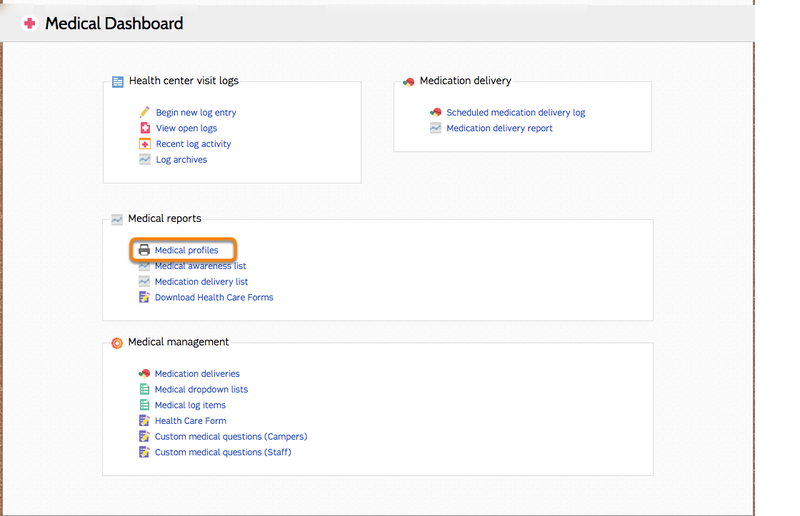 To generate and print medical profiles, select "Medical profiles" from the Medical Reports section of the Medical Dashboard. The various toggles allow you to customize the printed medical profiles by choosing whether or not sections are included, or only included if the information has been flagged as critical. Mode will allow you to print by Year or by Session. Selecting "By session" will prompt you to choose the specific session you would like to print medical profiles for. You may choose the order in which medical profiles will print. "By alpha" will include all individuals matching the criteria set. Ordering by division or bunk will allow you to choose the specific divisions or bunks for which you wish to print. 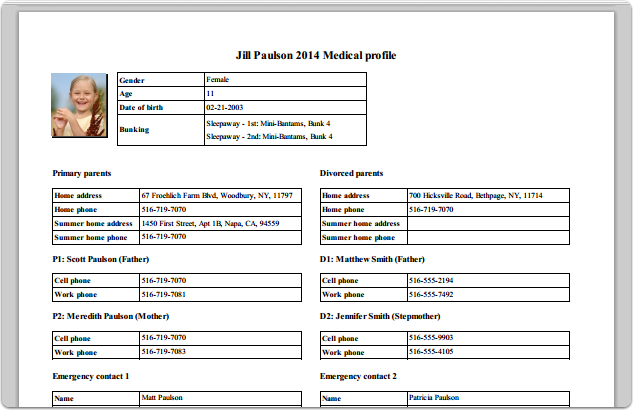 Printable medical profile will generate based on your selected criteria.